Can you spot all the Lego critters in this build? I found a large bag of old pieces from my child hood, including a pile of Lego animals and bugs. 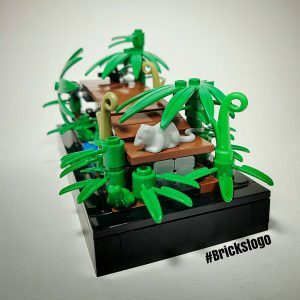 Just like accessories, Lego animals add a lot of detail to a build, and are a lot of fun to play around with. Building the bridge proved to be more difficult than I anticipated when I started this build. I wanted the shape to be slightly curved, which is hard to do with straight pieces. I ended up coming up with a solution that was less than elegant, but it worked for my purposes. Finding a solution to problems you face when building, can be one of the most rewarding aspects of the building process. No matter the size of the problem, there is always a solution if you put your mind to it. 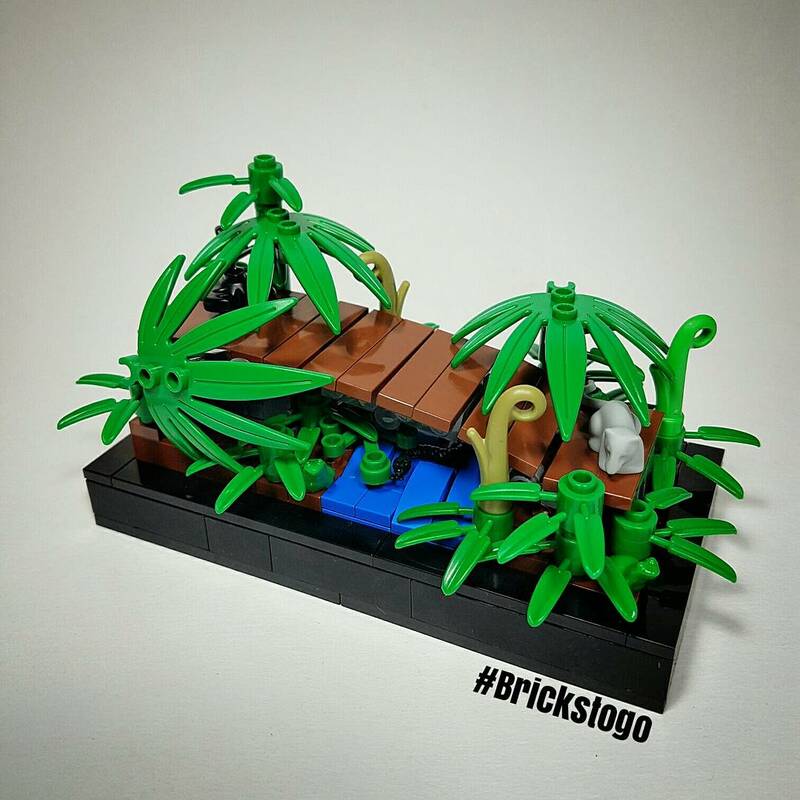 If you like this MOC, be sure to leave a comment below!